Good ole’ Saint Patrick. Father of the acclaimed holiday boasting some of the best parades, parties, and Irish food one can find—a saint who makes green everyone’s color at least once year, and even inspires rivers and fountains to run green. What’s not to love about the guy? Well, as the saying goes, to know him is to love him. And there’s more to Saint Patrick than many of his jubilant celebrants might realize. Even more surprising: some things we think we “know” about him and his day are totally off! So let’s get better acquainted, shall we? 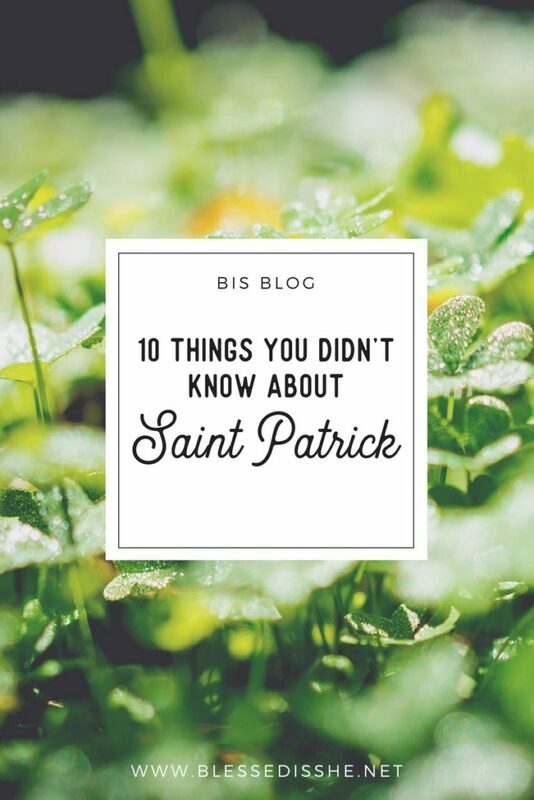 Here are 10 things you might not know about Saint Patrick and his feast day, plus a few ways to celebrate his feast in the most faithful, authentic way possible! He wasn’t Irish. Though historians are unsure of the exact location and date of Saint Patrick’s birth, his hometown was believed to be in northern Roman-occupied Britain, which later became Scotland. He was born around the year 380 AD, and died in Ireland on March 17th of 461. So if you claim Scottish blood, feel free to do a jig! He started out lukewarm in his Faith. Saint Patrick’s grandfather was a priest, and his dad a deacon and prominent figure in town. But young Patrick didn’t find much use for his faith until age 16, when he was kidnapped and enslaved hundreds of miles from home. He spent six full years as a slave herding sheep in the foreign, pagan land of Ireland. With nothing but his Christian roots to hold on to, and God as his one true companion, he grew immensely through constant prayer. He escaped slavery . . . in order to go back to his slave master. As the faith he forged in slavery continued to deepen, Saint Patrick knew he was destined for religious life. So in a move that nearly defies our understanding, Saint Patrick made a daring escape, covering over 200 harrowing miles to reach home, all so that he could eventually return to his place of slavery and minister to his former captors. After many years of serving as a missionary priest in his homeland, Saint Patrick received permission from Pope Celestine I to take his missionary work back to Ireland. Patrick wasn’t his given name. 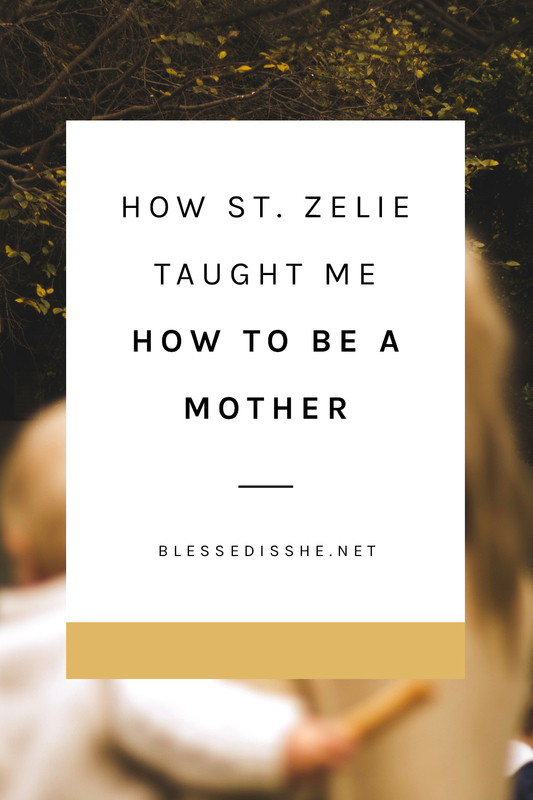 He went by a normal country name all through his early life and priesthood. It wasn’t until Pope Celestine I commissioned Saint Patrick to return to Ireland that he was given the name Patricius—Patricius being the original Latin form of Patrick. Saint Patrick was a huge success where other missionaries were not. Because of his time in slavery, Patrick was intimately familiar with the Irish culture: the Celtic language, the pagan Druid practices and beliefs, and the extensive clan system. Because of this, he devised a new strategy to share the Gospel. He approached the clan chiefs first, including his former abusive master Milchu, who was a high Druidic priest. He knew that if the chiefs chose to listen to the Good News of God’s love and came to believe, the rest of their clan would trust the message and quickly follow suit. It worked, and—in large part thanks to Saint Patrick’s approach—Ireland soon became one of the most fervent Christian nations in the world. He was a fan of three-leaf clovers, not four. Contrary to the popular belief that four-leaf clovers are synonymous with Saint Patrick’s Day, according to legend, it was the three-leaf clover that Saint Patrick sought in earnest. He used the shamrock with three leaves to teach the Irish people about the Trinity, using it as a visual symbol of how a God with three persons can still be One God. The odds of finding a 4 leaf clover are 1 in 1000. While fun because they are rare, the superstition that they’ll bring good luck is just that—a superstition, derived from a decidedly questionable Druid legend. Like any superstition, it distracts from the truth that God is the real author of our life, down to the smallest details. No “lucky” four-leaf clover necessary! He preferred blue. Well, maybe. While we don’t know St. Patrick’s actual favorite color, it’s true that from the earliest depictions, it was blue—not green—that first denoted both St. Patrick and the nation of Ireland. It was used in images of St. Patrick, for old Irish flags, Irish Citizen Army armbands, and until recently many Irish sports teams even wore blue jerseys. Not a drink to spare. Due to its special religious observance, Saint Patrick’s Day was primarily a “dry” holiday until the 1960s, when the day was first observed as a National holiday. Prior to the change, even the bars were closed on March 17th! Indeed, from its earliest celebrations, most who observed the Solemnity of Saint Patrick chose to abstain from alcohol; it was a way for the faithful to honor and remember Saint Patrick’s sacrifices as an evangelist for the greater good of the nation and their souls. He left more than “just” a legacy. He left his Confessio, where you can actually read Saint Patrick’s thoughts, experiences, and wisdom in his own words. Among other things, his writings make it clear how humble he was; yet Saint Patrick was so compelled by his own experience of true Love that he couldn’t stay silent about the Truth of God’s love for us. Of course, in recent years, we all know that Saint Patrick’s Day has become an excuse to get a little wild and a lot irreverent. Isn’t it a bit of an insult, though, to this great Saint’s work and memory to perpetuate that trend? Sure, we can have some fun, make some corned beef (or corned cod if your diocese doesn’t have a Lenten Friday dispensation! ), and choke down some cabbage. But instead of jumping on the crazy train, let’s raise a [dry] toast, or maybe a shamrock shake, and talk about ways to more intentionally honor this great Saint and emulate his life’s work. Meditate on the beauty and love of the Trinity. Reflect on how each person of the Trinity loves you specifically, perfectly, and personally. Find a three-leaf clover to put on display in your room or home; if you don’t have one, draw, paint, or cut one out. Label the three leaves of the shamrock to help you reflect on the Trinity: God the Father, our Creator; God the Son, our Redeemer; and God the Spirit, our Sanctifier. (This could also serve as a great family craft)! 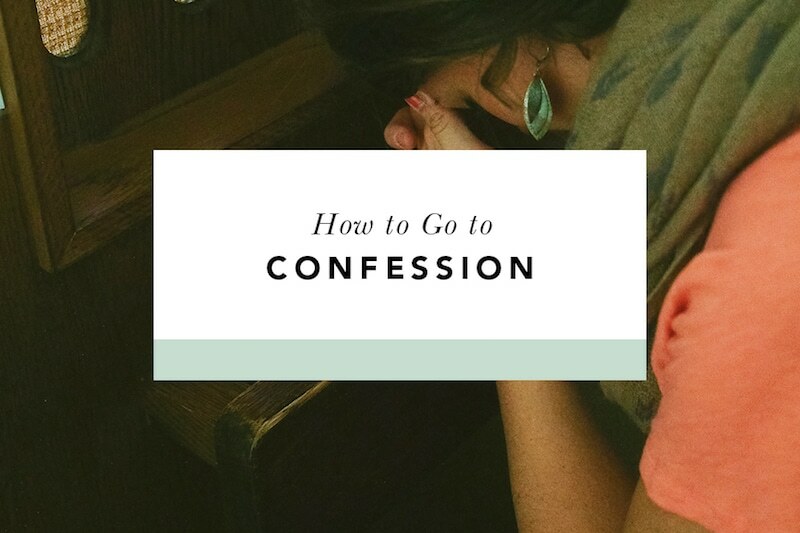 Ask for the courage to share God’s love today in a way that leads someone else to Christ. 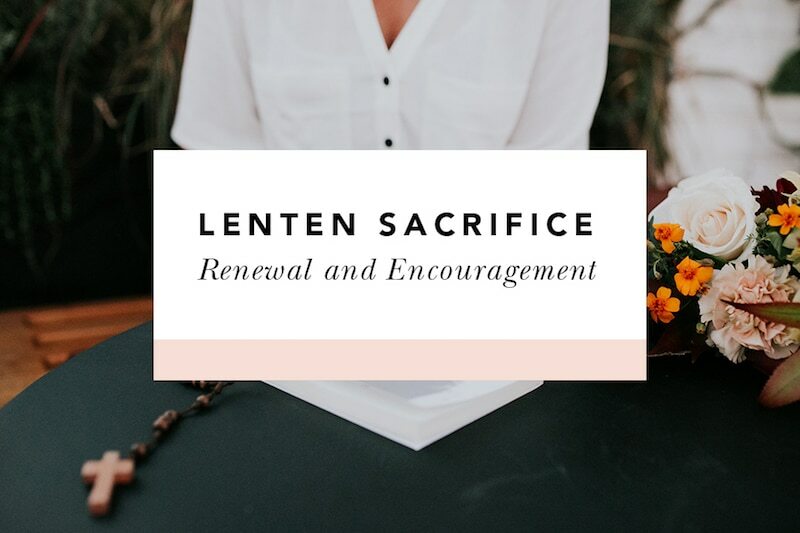 Saint Patrick’s efforts started small, but if we simply and humbly show up in faith like he did and ask God what He wants us to do in our next moment, God can open seemingly impossible doors. Who knows, you might bring a whole country with you! So now that we know Saint Patrick better, we can love and celebrate him better. Let’s have a Happy and Holy Saint Patrick’s Day this year in honor of him! Written by Megan Hjelmstad. Find out more about her here.